Geeveston Medical Centre is owned and operated by Huon Valley Council. The practice has a strong focus on looking after the well-being of the community and would welcome enquiries from VR GPs with no restrictions who have a commitment to positive family medicine outcomes. This is a great opportunity for a satisfying role to use or develop your skills in comprehensive general practice working with a busy, friendly and supportive team. With a population of 1,300, Geeveston is one of four townships in the Huon Valley, Australia’s southernmost municipal area. The Huon Valley is a vibrant, semi-rural community in close proximity to Hobart with four principal townships and a population of more than 16,000. Geeveston is one’s drive from Hobart. The region is a popular retreat for those seeking an alternative lifestyle.  It is dominated by waterways and forested hills and is well known for an excellent range of gourmet produce that has helped Tasmania earn its reputation as a food lover’s paradise. Food and music festivals aside, the waters of the Huon River and D’Entrecasteaux Channel offer world class fishing, sailing, diving and rowing experiences, and the Valley’s population swells in the warmer months with an influx of visitors. For those of you who may be wondering, Geeveston is the setting for the fictional Rosehaven television series. Geeveston Medical Centre is located in a restored heritage cottage with three consulting rooms and a separate treatment room providing a wide range of diagnostic and procedural equipment. Open from Monday to Friday 8.00 am to 6.00 pm, there are two doctors working four days each and administration staff. The practice is AGPAL accredited and provides a wide range of primary care services, including minor surgery and occupational medicine. It is fully computerised using Medical Director and PracSoft. The doctors do home visits and can admit to rural health beds at Huon Eldercare in Dover and Franklin to allow for the care of acute medical conditions and palliation. Ambulance services are located in Huonville and the nearest A&E is in Hobart. After hours needs are triaged by Healthdirect, which minimises after hours call-outs. Huon Valley Council is committed to fostering medical education and the practice is an accredited training practice for RACGP registrars of all levels, senior ACRRM registrars, medical students and John Flynn placements. Visiting services include an exercise physiologist, psychologist, mental health services, dietitian, diabetes educator, podiatrist and audiologist. The practice bulk bills pensioners, health care card holders and children under 16 years old, with all other patients billed privately. GPs joining the Council practices will be engaged on either an employment basis - earning a generous percentage of gross takings, plus superannuation, study leave, holiday and sick leave - or by contract. Additional income is available through supporting the DHHS facility. Subsidised accommodation and use of a car may be available for a short term subject to negotiation and individual situation. A comprehensive orientation program will be arranged on arrival according to the doctor’s needs.